You have hundreds of thoughts a day. If they are mostly negative or pessimistic, you are likely to suffer from depression. Depression manifests in negative thinking before it creates negative effects. Optimistic thinking often creates happiness. Happiness stimulates the growth of nerve connections; improves cognition by increasing mental productivity. It helps people to be creative, solve problems faster and be more alert. It increases attentiveness; affects your view of the surroundings and improves your ability to analyse and think. A positive mind anticipates happiness, joy, health and a successful outcome of every situation and action, because it is an attitude that admits into the mind thoughts, words and images that are conducive to growth, expansion and success. Many people do not comprehend that frequent complaints are the negation of happiness. They do not realise that it is impossible to be over-critical and be happy at the same time. Complaints and happiness do not go hand in hand and do not complement each other. There is a saying that thoughts become words, words become actions, actions become habits and habits become character. You must be pure in your thought, word and deed. Negative thinking may cause increased risk of coronary artery disease, decreased resistance to catching the common cold, increased negative stress, less coping skills during hardships and poor coping ability for women with high-risk pregnancies and difficulties in adjusting to social life. While our present attitudes are habits built from the feedback of parents, friends, society and self, these attitudes are maintained by the inner conversations that we have, both consciously and sub-consciously. Negative thinkers, having not grown up and still living with childish demands, are unable to cope with life’s challenges because they want their friends and associates to accept their ideas, however silly they may be. By thinking negatively, you put yourself down, criticise yourself for errors, doubt your abilities or expect failure, besides you damage confidence, bring about reduction in performance and paralyze mental skills. Negative thinking mutilates cripples and corrodes the human spirit. One should not become a victim to negative thinking as it robs many years of his or her happiness. Negative thinkers, who look out for quick, easy fix when none exists, must appreciate what they have instead of moaning about what they lack. They do damage not only to themselves, but also to the world by spreading gloom and misery everywhere. Since our experience of stress quite often evolves from our perception of the situation, it is possible that if a wrong conclusion is made about people or situations, it can send us into a downward spiral of negative thinking that can be hard to break. Hope can become a force for social change when it combines optimism and pessimism in healthy proportions. John Braithwaite, an academic at the Australian National University, suggests that in the modern society, we undervalue hope because we wrongly think of it as a choice between hopefulness and naivete as opposed to scepticism and realism. The first step in changing your attitude is to change your inner conversation by making a positive commitment in any worthwhile course you undertake, without forgetting not to praise yourself and others. While keeping your mind focused on important things, you must set goals and priorities for what you think and do, visualise, practice your actions and develop a strategy for dealing with problems. Besides being courageous, do your best, making sure to meet new people, keep track of your mental and physical health. Commitment, control and challenge help build self-esteem and promote positive thinking. Nutritious food, regular exercise, good company, music, work and learning will help to elevate your esteem. Pessimistic thoughts may make you unhappy. If you want to be happier, you must find activities that stimulate the production of serotonin and dopamine in your brain. Those would be activities that bring pleasure and happiness or make you feel good about yourself, others and life. The greatest challenge is to learn and understand the power of our thoughts, which determine our health, our abundance and our well-being. Because of your brain’s neuroplasticity, you can train your brain to get happier regardless of your age. Many people may benefit by taking a course in positive thinking. “How to Win Friends and Influence People” by Dale Carnegie is one of the best self-help books. The book, among many other things, may help you to get out of a mental rut, give you new thoughts, new visions and new ambitions and enable you to make friends quickly. You will be able to handle complaints, keep your human contacts smooth and pleasant; and make the principles of psychology easy for you to apply in your daily contacts. Cognitive behaviour therapy (CBT) is one of the best treatments for depression, because it teaches patients how they can take control of how they interpret and deal with things in their environment. 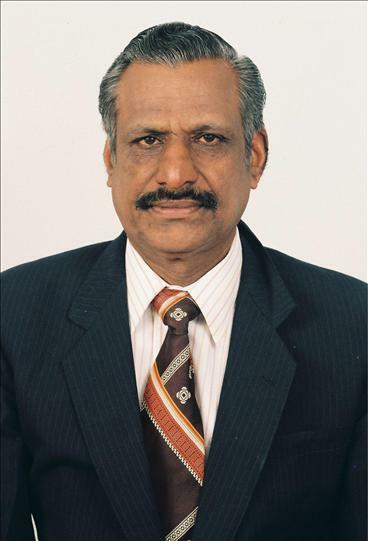 Thilliar Varnakulasingham has been a regular Indian Newslink columnist. He is versatile on several aspects of health and wellbeing.